NASHVILLE Entrepreneur Center CEO Michael Brody-Waite said he is convinced Nashville entrepreneurship can "leapfrog" and surpass that of a number of peer cities in coming years as the region's population and entrepreneurial ranks grow. However, he warned, if the EC doesn't remain "hyperfocused" on further development of core competencies, many "entrepreneurs will get lost" in the region's growth. The 14-county Nashville MSA population was nearly 1.87 million in 2016 and has been projected to reach 2.6 million by 2035. That threat and related factors have provided the impeta for a $1.8MM fundraising effort that Brody-Waite and EC allies have begun and which he expects to complete in 2018. A significant portion of that raise is to go toward recruitment and development of on-staff "Navigators" who are being assigned responsibility for ensuring that EC-embedded entrepreneurs establish truly "impactful connections" with advisors and other resource providers, both internally and externally, he told Venture Nashville. Without sufficient emphasis on such priorities, Brody-Waite said encounters between entrepreneurs and advisors have too often not been as effective and tightly correlated to startup requirements as they could be. Desultory contacts too often leading to unfiltered "noise" in EC work processes and "death by a thousand coffees" and depletion of energies and confidence, he said. Improving the value received through the EC by both entrepreneurs and advisors will also facilitate the EC-wide scale-up of such core elements as its startup curriculum, the strengthening of the EC's "physical" community, and its "industry immersion" programs and activities, he said. The EC website says that in 2015 the nonprofit had 173 companies graduate from an EC program, and received more than 8,500 visitors to the EC. More recent figures have not been published. Brody-Waite said this week the EC is now engaging with about 300 "new entrepreneurs" annually, and within a decade could be serving 10X that number via the EC, itself. 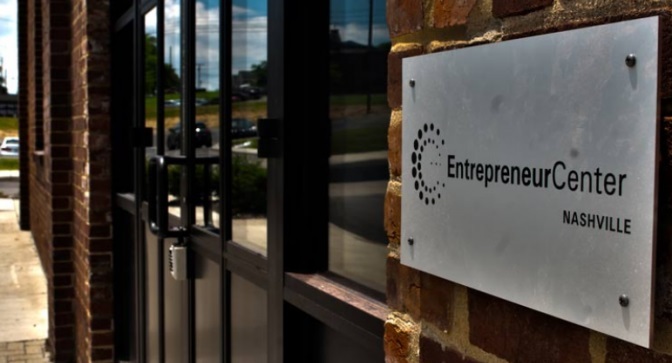 The EC has begun providing Navigator services for at least 16 startups, including some that are portfolio companies of Jumpstart Foundry, the healthcare VC here. The CEO said entrepreneurs touched by EC's expanding "catalog" of Navigator services could eventually number 10,000 yearly, when those served via future online services are factored-in. With systems, processes and other assets well-tuned, he said, EC programs will be sustainable and more often replicable. Such improvements will mitigate threats to program continuity arising from management turnover, said Brody-Waite. Reaching sustainability should also enable the EC to return to launching new programs along the lines of Project Music (which, itself, needs greater scale) and Project Healthcare (once an accelerator, now an industry-immersion program). Given the enormous importance of creating clearly charted "navigation pathways" for entrepreneurs to follow, with additional funding is being raised the first-generation Navigator assignments are to be shouldered as additional duties by existing EC staff. A detailed needs template for carrying-out Navigator duties will allow greater emphasis on accountability, formal assessment of the effectiveness of matchups among entrepreneurs, advisors and others, as well as an emphasis throughout the organization on manifesting and employing "empathy," "humility" and other traits in all its internal and external dealings, said the CEO. In line with Brody-Waite's emphasis on the quality of the EC experience of its entrepreneurial alumni, he said he has formed a small Alumni Council, which is chaired by Chris Hefley, a techie and entrepreneur most associated with Nashville startup LeanKit, and still based here, but working with Retrium, a Maryland-flagged startup. Then, in 2018 the EC will begin to build-out its platform with additional services and resources, "not just vaporware," said Brody-Waite. He emphasized that as the third CEO of the EC, he does not have to deal with the existential issues that confronted his predecessors, including creating the organization and its renowned physical plant. "Now, we get to worry about more advanced things" that are inevitable in a later-stage organization moving from startup to maturity, he added. As previously reported by VNC, leaders of the Nashville Area Chamber of Commerce and its allies commissioned a report that in 2005 spotlighted Nashville's need to improve its "capacity for innovation," which was followed in 2007 by a Chamber task force to study the matter. 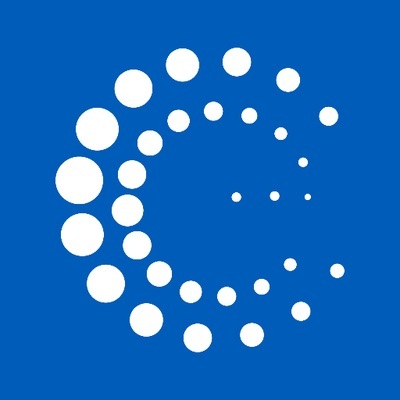 In 2008, that group recommended creating an initial website for entrepreneurial "resources," an initiative that led to the 2009 appointment of Project Manager Joe Kustelski. The EC's nonprofit IRS Form 990 for tax year 2015 reported the EC's attracted just over $2MM revenue, more than 70% of which came from contributions and grants. Less than 4% of its 2015 revenue was from EC member dues. Asked what annual revenue might support sustainability, Brody-Waite said $10MM might prove a good target. With respect to assessing the microeconomic impact of the EC in the Nashville region, the CEO said such assessment is the subject of periodic discussions, and calls for many more "proof points" than are currently available. Asked whether he believes the EC has succeeded as planned at inception, the CEO said it's premature to try to answer that, adding that the answer should be much clearer by about 2025. Brody-Waite, a 38-year-old Palo Alto native, was Co-Founder and CEO of InQuicker, a startup that offered an online self-scheduling solution for hospital Emergency Departments and other providers, and which was sold to Chicago-based Stericycle. Earlier, he spent nearly seven years in Sales leadership for Dell. Brody-Waite was selected CEO of the EC by a search committee co-chaired by EC Chairman John Ingram and EC Chair-Elect Beth Chase of C3 Consulting, as reported here. He succeeded EC CEOs Michael Burcham and Stuart McWhorter, and Interim CEO Sam Lingo, at the helm.